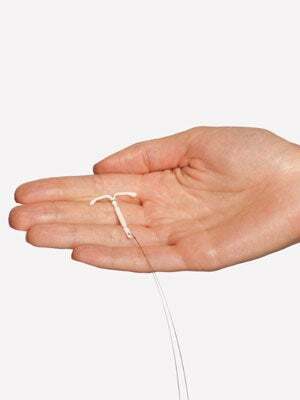 IUDs have made some major headway in the past decade, going from a lesser-used (and potentially dangerous) method of birth control to a much more sound form of long-term contraception. Skyla, created by Bayer, is the first new IUD to be approved in 12 years. Unlike Mirena, which is only officially recommended for women who have already had a child, Skyla can be used whether or a woman has had a child, and can be left in place to prevent pregnancy for up to three years. Despite a slightly lower dose of hormones than previous IUDs, Skyla is very effective at preventing pregancy (less than one percent of women experienced pregnancy during trials) and can be a convenient alternative to monthly trips to the pharmacy for birth control pills. The bad news: If you are at all prone to infection, Skyla is not recommended, as infections that occur while the device is place can become very serious. In addition, while pregnancies are extremely uncommon while Skyla is in place, if a pregnancy does occur, it can lead to grave complications. In short: IUDs (including Skyla) can be a great option if you're willing to be hyper-vigilant about using condoms and keeping an eye out for any irregular symptoms such as excess pain or bleeding. Most forms of long-term contraception involve some risk, but with responsible use, they can make a monthly pain (literally) much less of an issue.